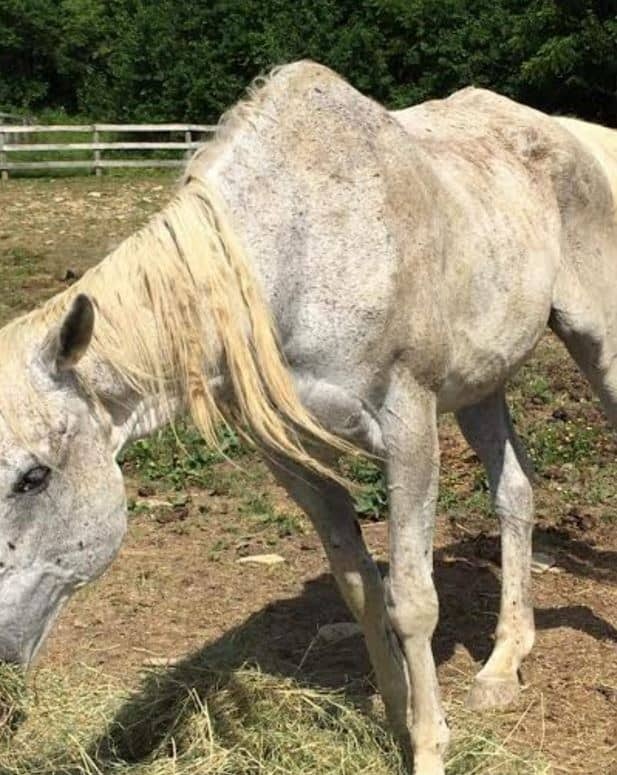 After months of investigating, Connecticut officials seized 32 horses from Gypsy Vanner breeders in East Hampton Tuesday. 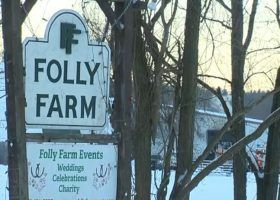 Tom and Melanie Olajos who operate Fairy Tail Equines are the subject of an on-going animal cruelty investigation, according to the state. 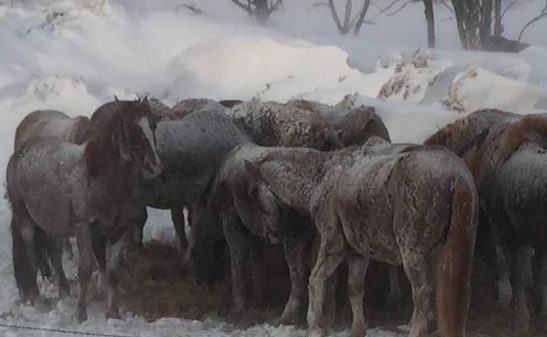 The seized horses include Andalusians, Friesians, and Gypsy Vanners. Also removed were more than 80 chickens, two dogs, cats, and rabbits. 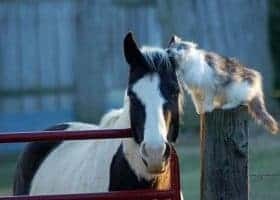 The Connecticut Department of Agriculture says it worked for months to provide the couple oversight regarding the care of their animals, but the help failed. Investigators state the animals did not receive the proper veterinary care and are malnourished. 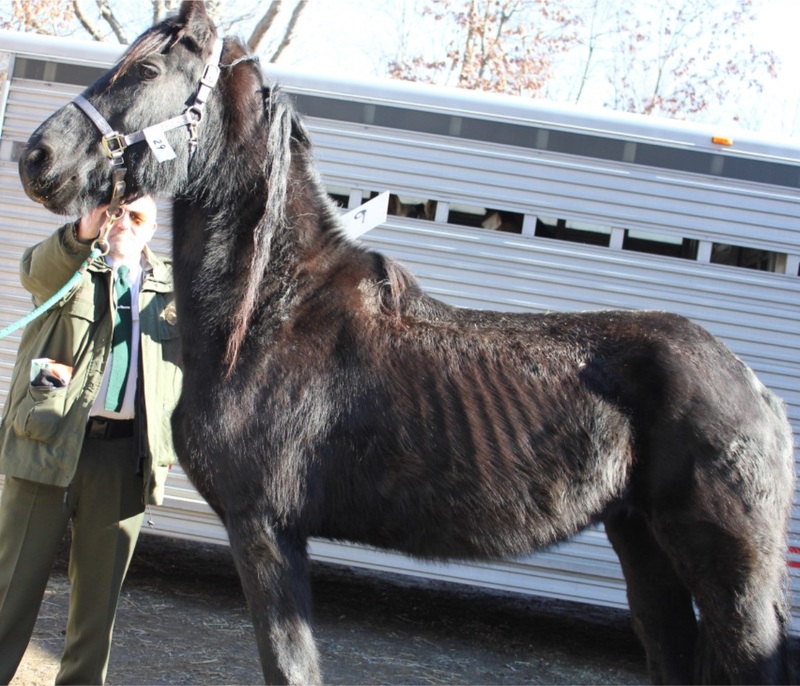 They were also kept in unhealthy living conditions. 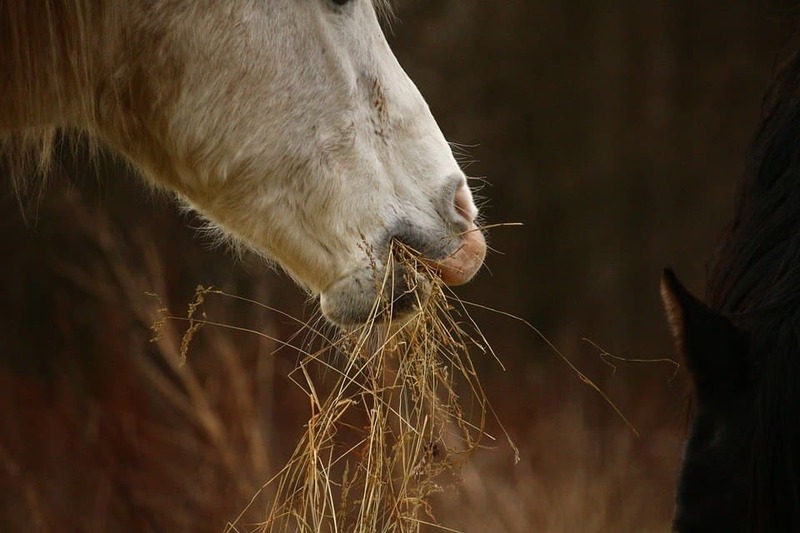 The horses at Fairy Tails Equines ate the bark off the trees. 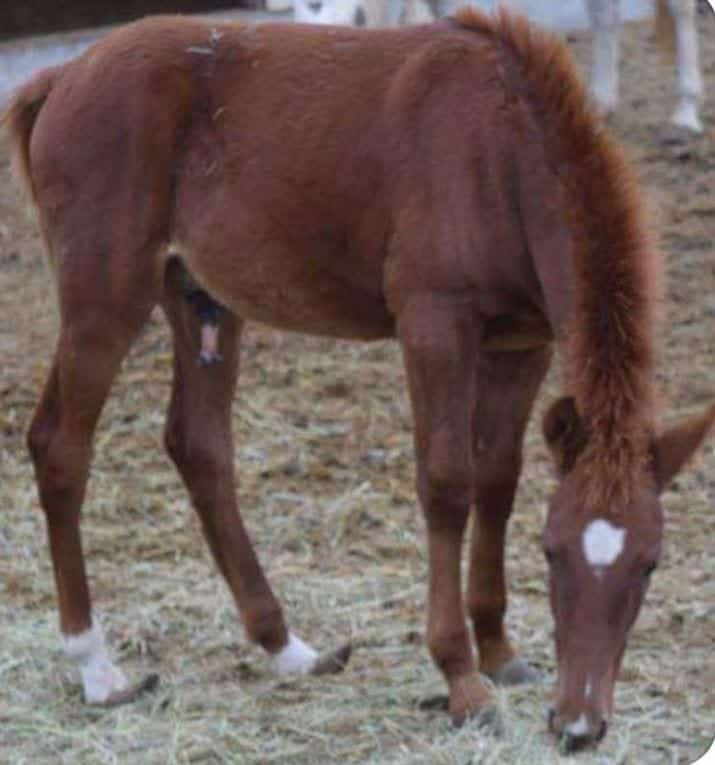 We first told you about the investigation last September after the horse breeders were accused of animal cruelty. 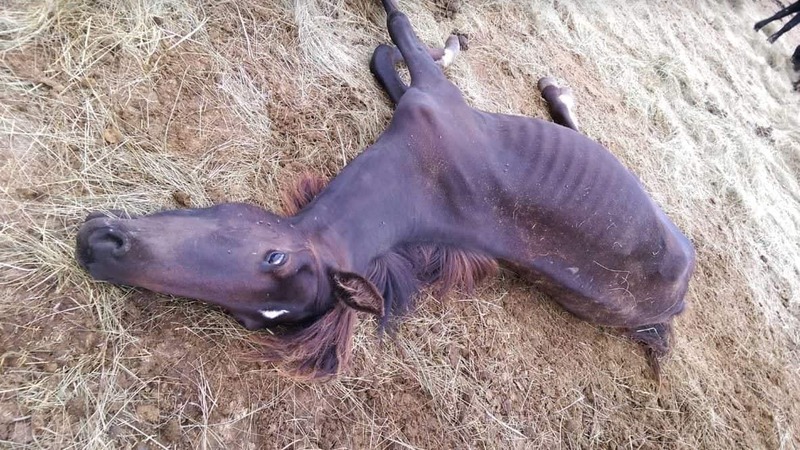 It happened after the Olajos returned multiple Gypsy Vanner horses allegedly emaciated to their owner, Villa Vanners. 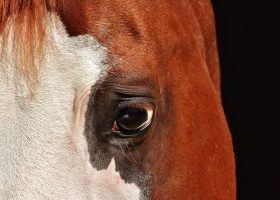 “I think the RateMyHorsePRO.com article was a wealth of knowledge that people needed to see…,” says Taylor Hanes of Hanes Performance Horses in Shelbyville, TN. Hanes provides training for the Villa Vanners horses. 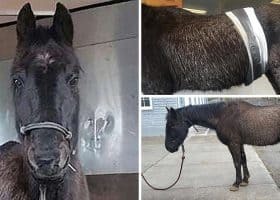 Four of Villa Vanners’ horses were hospitalized after Hanes made arrangements for them to be picked up from the Olajos. 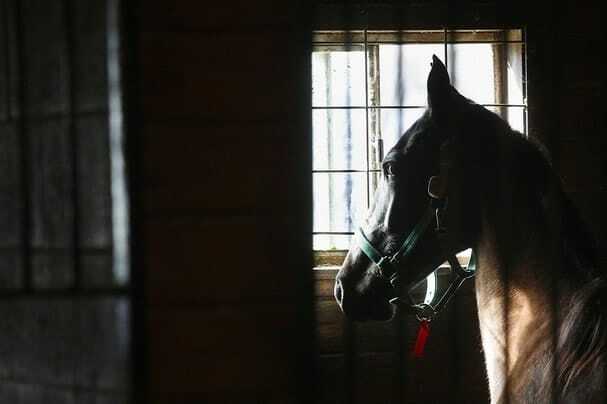 The horses suffered from malnutrition and parasites, according to veterinary records. 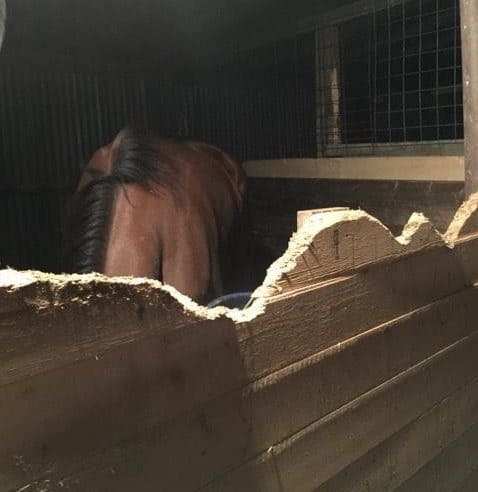 Exclusive photos we obtained of horses at Fairy Tails Equines show they’ve eaten the bark off the trees as high as they can reach. 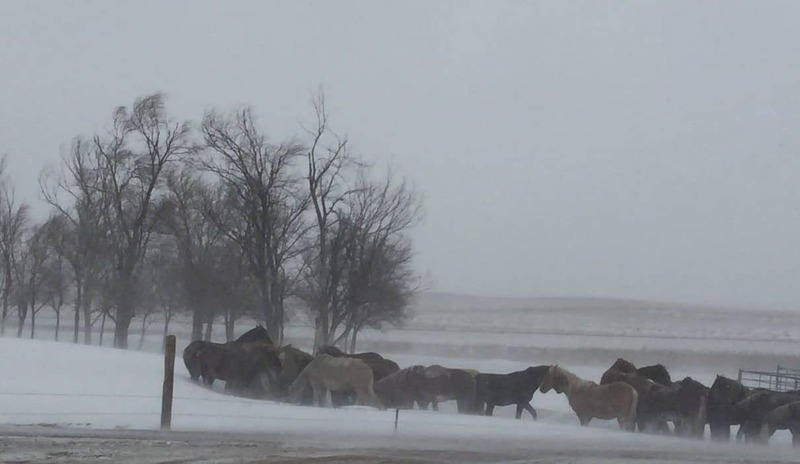 Additionally, the horses stand together in small dirt pens. 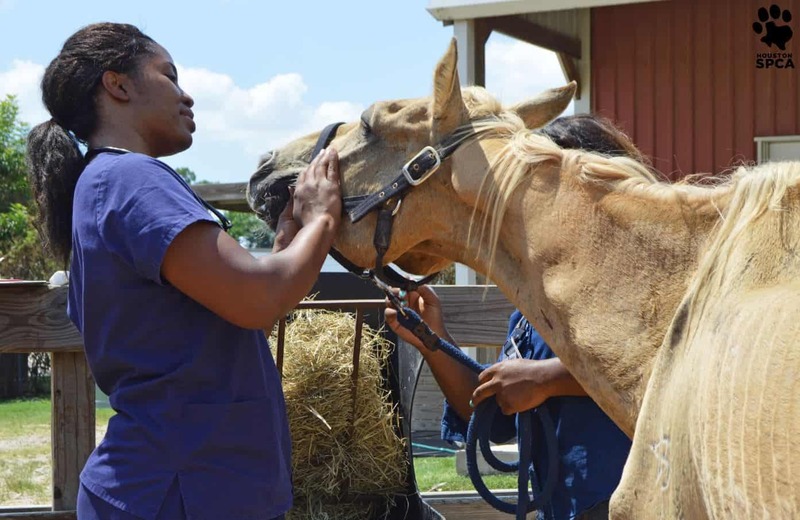 An animal control officer went to the Olajos farm on September 9, after receiving a complaint, but was denied access. 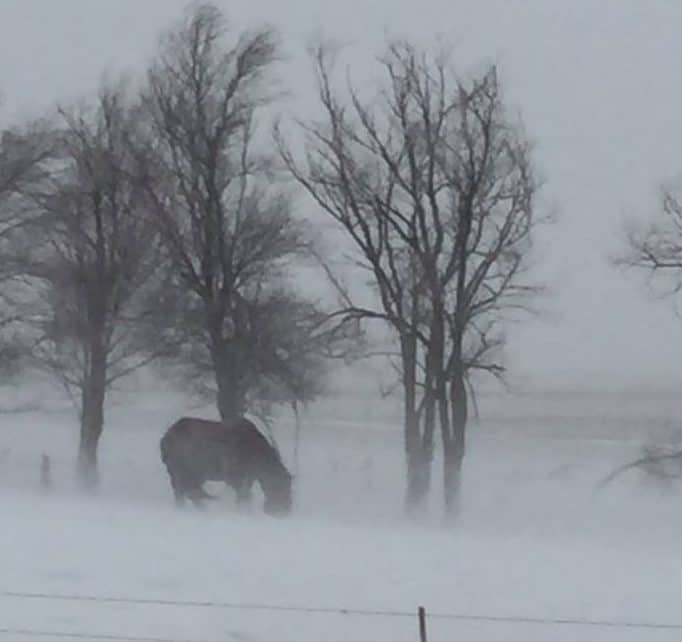 The next day, animal control found no hay or grain for the horses to eat. 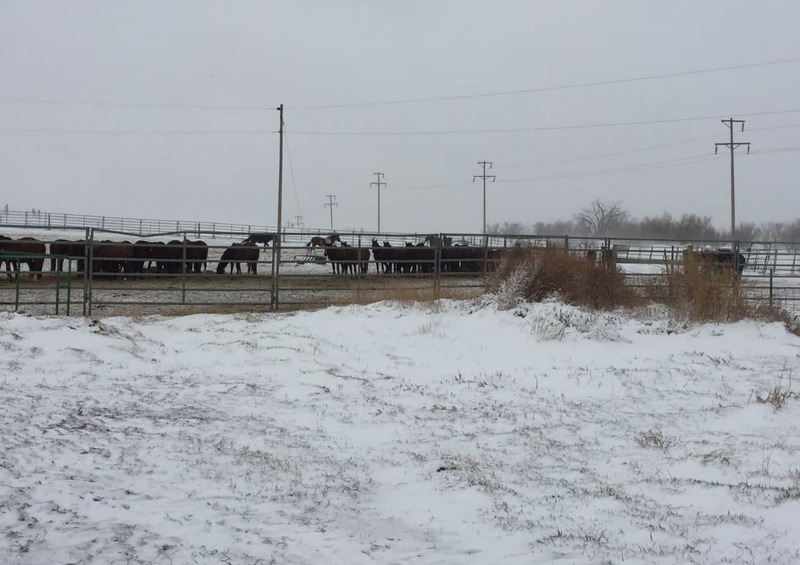 The initial assessment found that nearly half of the horses on the property were underweight. 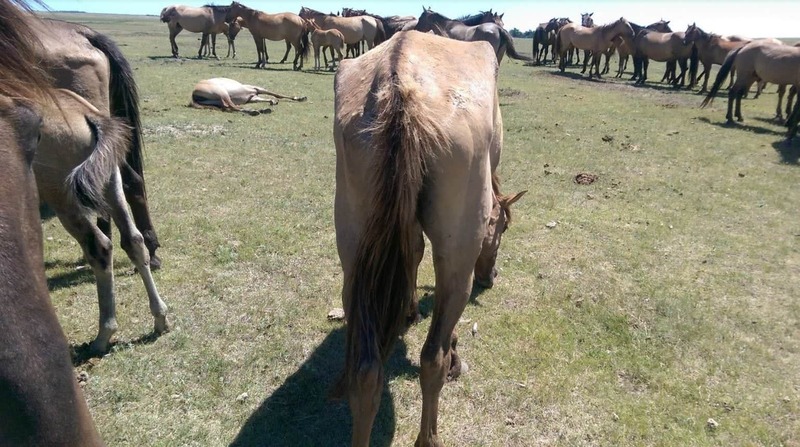 They exhibited signs of malnutrition, including muscle wasting, protruding hip bones, and visible ribs and spines, according to authorities. 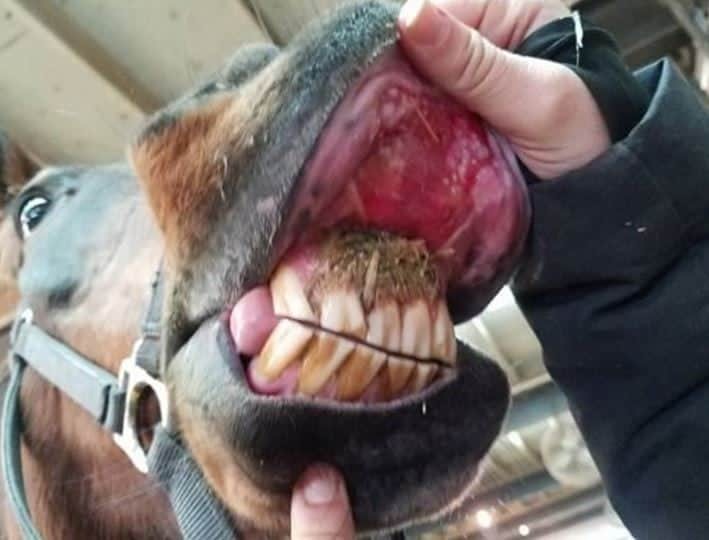 The state says Tom Olajos was instructed to have hay and clean water available for the horses at all times and to obtain veterinary care. 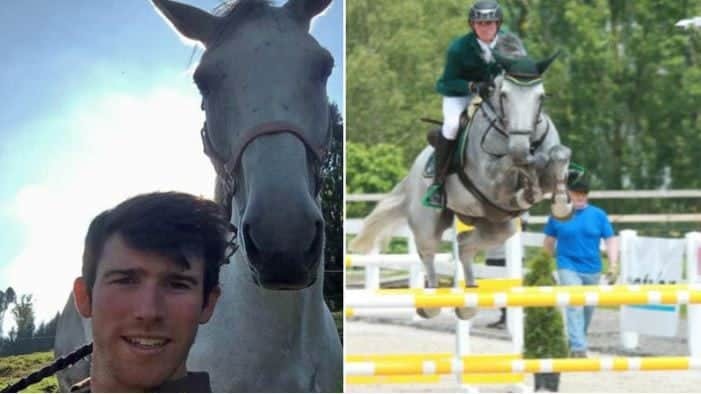 A subsequent evaluation of the horses by a veterinarian hired by Olajos found that several had anemia related to malnutrition. 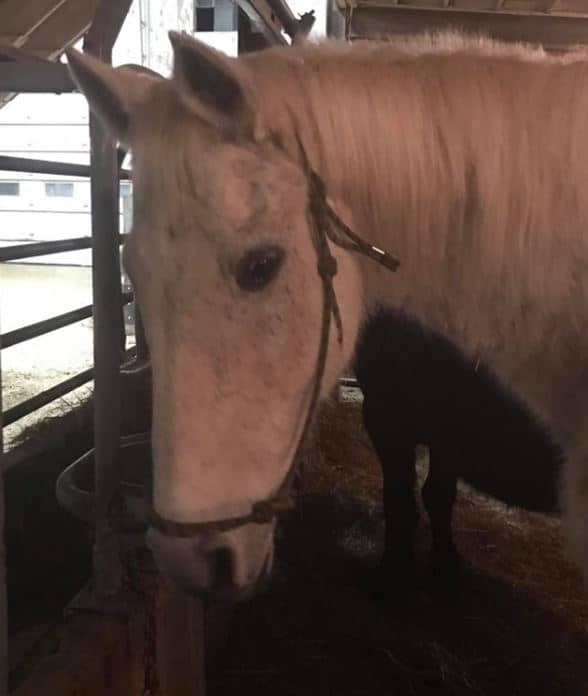 The horses were taken under a search and seizure warrant and moved to the state’s large animal rehabilitation facility. The small animals were taken to local animal shelters. 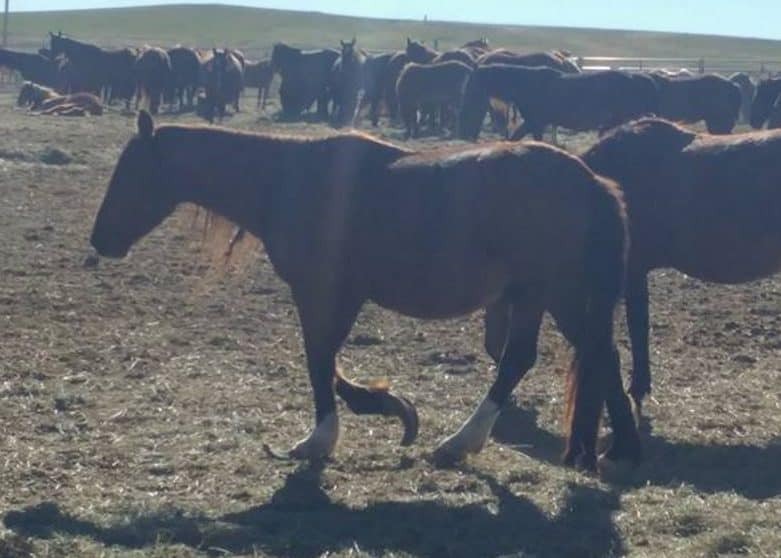 “We are absolutely thrilled with the news today,” Hanes says regarding the seizure of the horses after months of worrying. Charges have not been filed and the investigation continues. Stay with us as we bring you more from this breaking news story.